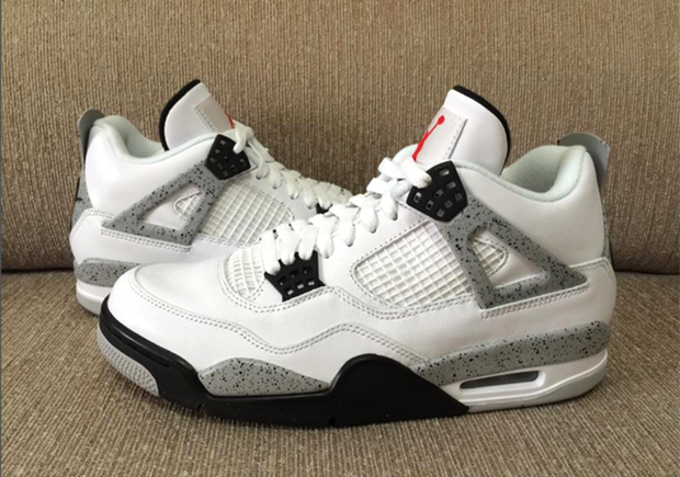 The release of the "White/Cement" Jordan IVs with Nike Air branding is still months away, but thanks to this new set of pictures, you&apos;ll know exactly what to expect when they arrive in February. 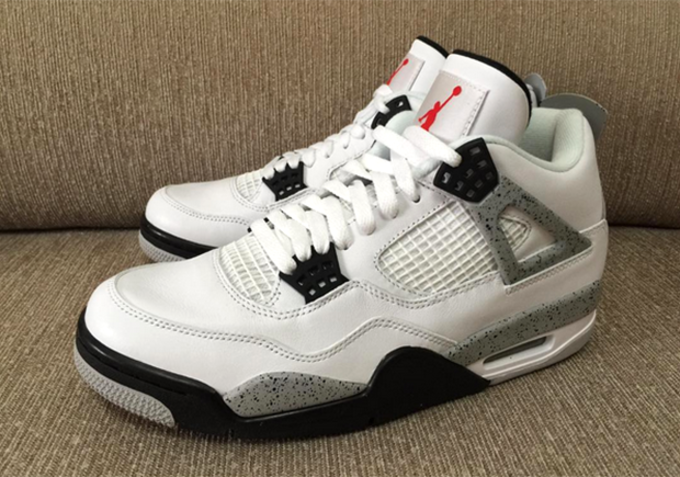 @us11hustla dropped off a few shots of the anticipated release, which look about as accurate as any purist could hope for. 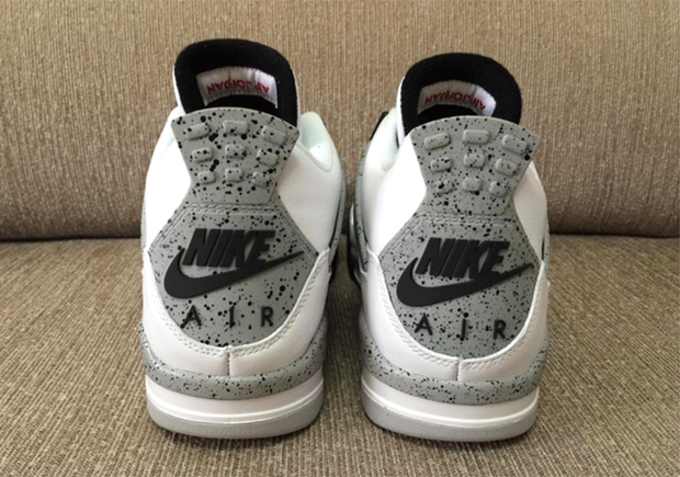 Sure, the shape isn&apos;t identical to the 1999 version, and the shade of grey may be slightly different, but don&apos;t overlook the Nike branding on the outsole, something that was absent on the "88" Jordan IIIs from 2013. 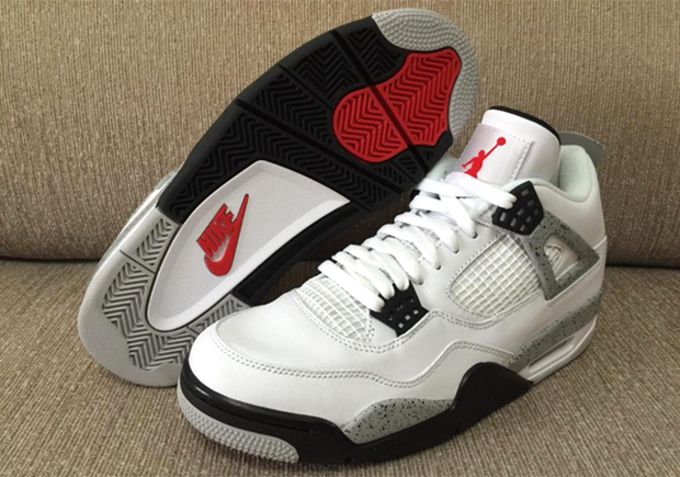 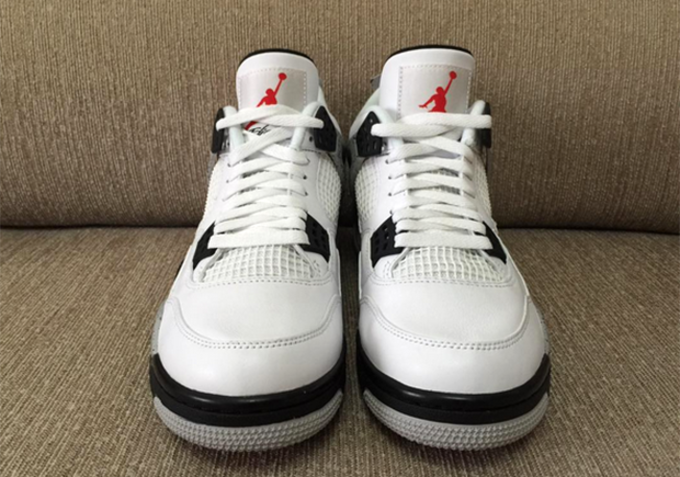 These Jordan IVs are set to hit stores on February 13 with a premium retail price of $220.